As we mentioned in our newsletter, we have been occupied by our big class projects for the last few weeks. These projects included creating questions on a cultural topic, doing lots of interviews with Khmer people and then gathering our information into a paper and a presentation for our classmates. While lots of work, these projects were fun for us as we got to dig deeper into some cultural areas that interest us and impact the work we will be doing here in Cambodia. 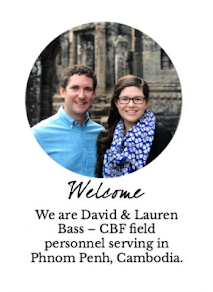 David did his research and presentation on Khmer teaching styles and Lauren's was on how and why Cambodians save money. We are happy to report back that both of our presentations went well! 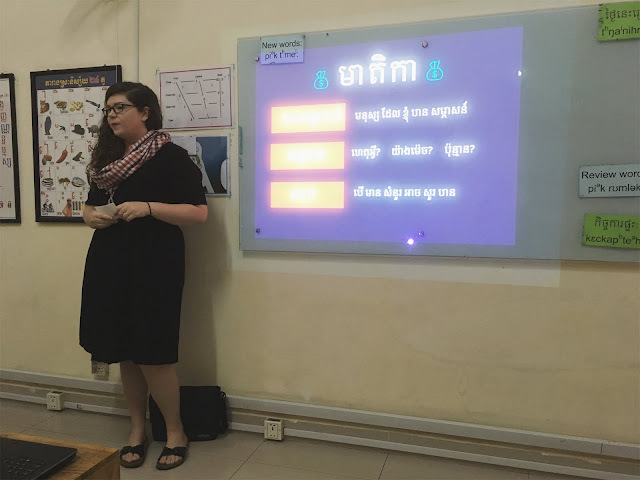 We were less nervous than when we did presentations in our last module and felt like the experience helped us realize just how far our Khmer learning has come!